Pyramids (Golden Section) research in Russia by Alexander Golod. Researches in biology, medicine, agriculture, etc. Pyramids (Golden Section) research in Russia by Alexander Golod. Researches in biology, medicine, agriculture, etc. Новая Пирамида, полезная для здоровья и экологии, построенная в 2017 году. Вход свободный. 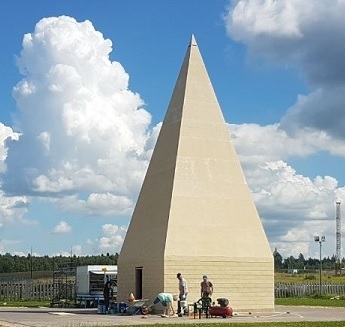 Alexander Golod, qui a coordonnait les groupes des scientifiques en Russie, ils a accompli les reshershes au cours de plus que la decennie dans les Pyramides construites par luimeme. Les resultats ont montre les effets essentiels positifs pour les matieres biologique et non biologiques. La plus grande Pyramide construite par Alexander Golod est situe dans la Russie - elle est de 44 metres haute et le poids de 55 tonnes. La quantite de radioactivite diminue apres avoir ete expose dans la Pyramide. Le travail avec plus que 5000 personnes dans les prisons en Russie a montre, que dans quelques mois la plupart des crimes a presque disparu, et la conduite avais beaucoup amelioree. Cela peut etre explique par les structures crystalliques, qui ont etai places d'avance dans la Pyramide et apres - autour des territoires des prisons. Les substances crystalliques, qui etaient places dqns une de plus grandes pyramides d'Alexander Goloda, ont etait delivraient ou bord de la station ‘ MIR’ dans 1998. Ces substances restaient a la station ‘ MIR’ au cours de plus que l'annee. En octobre 2001, les substances crystalliques de la Pyramide etaient places aussi sur la station internationale (la ISS) pendant 10 jours. Cette travaille, etaient benifique pour des stations spatiales et le monde entier. 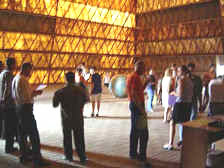 Alexander Golod, who coordinated groups of scientists in Russia, carried out scientific studies for over a decade in fiberglass Pyramids built by him. The results showed significant positive effects for both biological and non-biological materials. 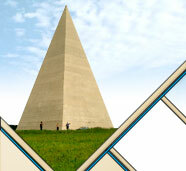 The largest Pyramid built by Alexander Golod in Russia is 44 meters (144 feet) high and weights 55 tons. The amount of radioactivity becomes less after exposure in the pyramid. Work with more than 5000 people in jails in Russia showed that in a few months most crimes almost disappeared and behavior was much improved. This was attributed to the crystalline structures, which had been placed beforehand in the Pyramid and faced around the territories of jails. Crystalline substances that had been placed in one of Alexander Golod's big pyramids were delivered on board the MIR space station in 1998. These substances remained on the MIR space station for over a year. In October 2001, crystalline substances from the Pyramid were also placed on the International Space Station for 10 days. This works were for the benefit of the space stations and the entire world. If you are from the travel agency, excursion center or represent a group which is interested in visiting 44 meters high Pyramid - one of the places of interest near Moscow, you can read short description below. 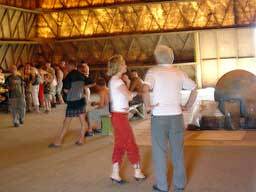 The program of excursion can be made specially for your group interests. Pyramid near Moscow - Russian Wonder of the World. The New World Wonder you can admire in Russia now! A huge Pyramid that combines the mystery of ancient legends with modern technologies and scientific achievements is opening its doors for excursions soon. 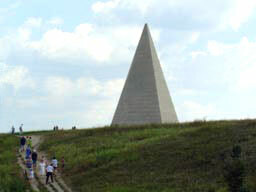 The forty four meter high Pyramid near Moscow is built without using any metal. It is made of fiberglass constructions. Driving 20 kilometers from Moscow Ring Road you'll get to the 38th kilometer of Moscow-Riga highway - the place where this unique architectural building was raised. Hundred thousands of people including famous actors, singers, sculptors, majors and presidents have already been to the biggest Russian Pyramid. 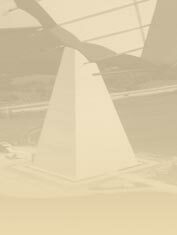 This Pyramid was built and is researched by scientists under Alexander Golod's supervision. The monks from Japan, Korea and Tibet got interested in the Russian Pyramid, they consider it to be the ideal place, meaning the space inside and around it. Their ideas are confirmed by scientific researches made in institutes of the Russian Academy of Sciences. All the researches showed positive influence on ecology and human health while visiting the Pyramid or using products, crystals, solutions and objects prepared there. The spacemen who were also interested in the effects produced by the Russian Pyramid organized the unique experiment. They took the crystals from the Pyramid to Space Station "MIR" and afterwards to the International Space Station. Learning about the Russian achievements from numerous articles and interviews of CNN, BBC, ABC, AP, Boston Globe, New York Times and other international mass media, people from different countries ordered the Pyramids from Russia (which are built by ABO Company using ABO technology in Nice, Batumi and other cities).